Easy and delicious, you will find that this cobbler won't last long enough to need to be put away. Preheat your oven to 375. Grease a round glass pie dish. In a medium bowl, toss the fruit, sugar, cornstarch and vanilla and set aside. In a food processor, pulse together all of the other ingredients, except for the walnuts until you have a rough streusel topping. Add in the nuts and pulse one or two more times. 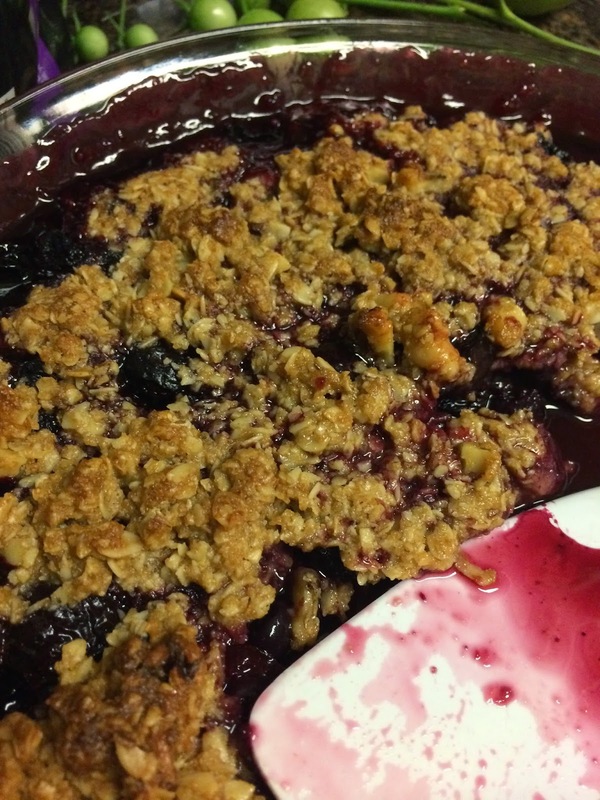 Pour the fruit mixture into the greased pie dish and the top with the streusel topping. Bake for about 30 minutes, or until the topping is nicely browned. Enjoy summer!